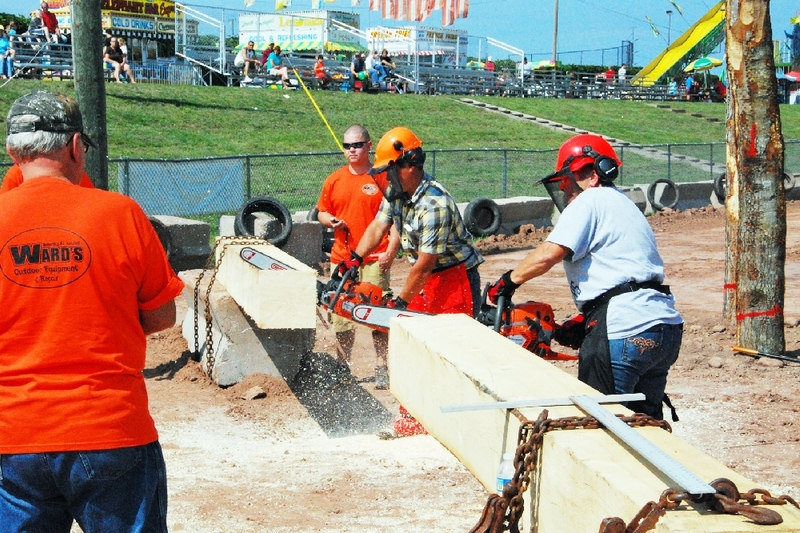 The Houghton County Fair held its four day event from August 23rd through the 26th, the 61st year of operation. 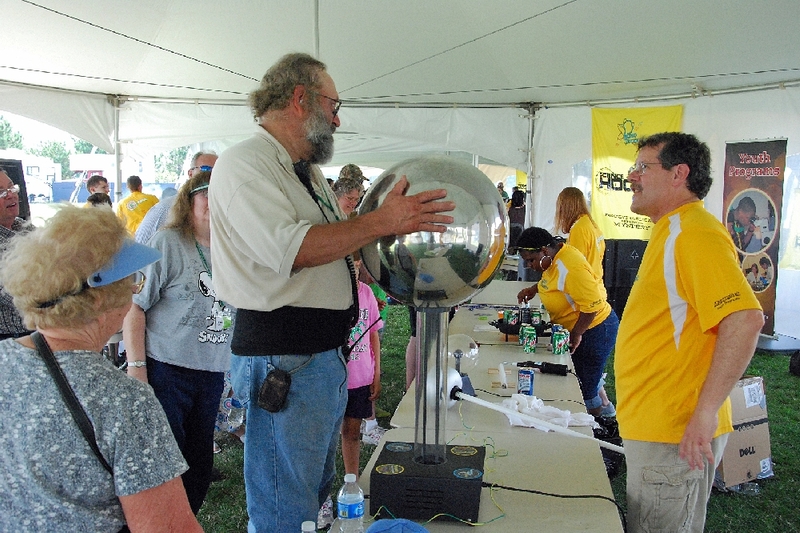 A large number of events were held under mostly good weather, save for a strong thunderstorm that struck Thursday evening mid way through events. 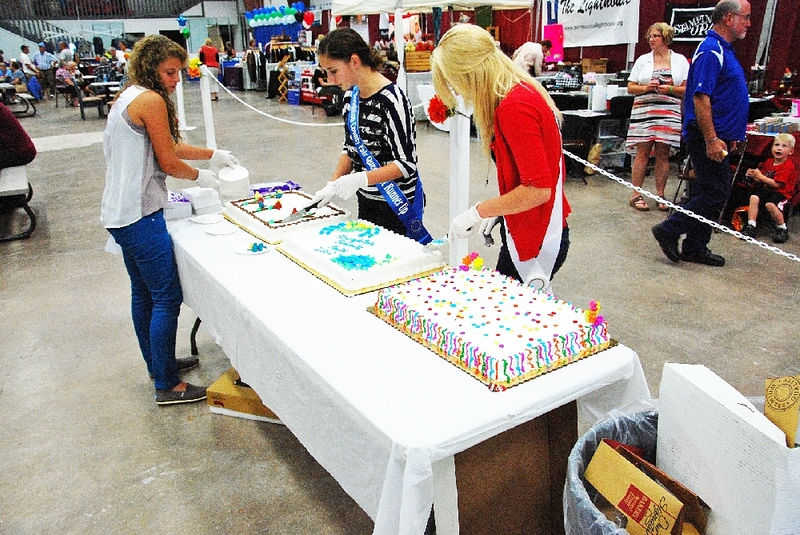 This year's Fair Theme is “Color Our World”. 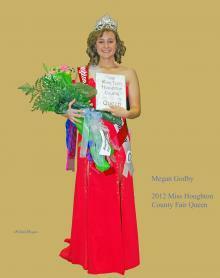 A large field of ten Queen contestants this year vied for the honor. Included was a talent portion, evening gown presentation, and unrehearsed question period. 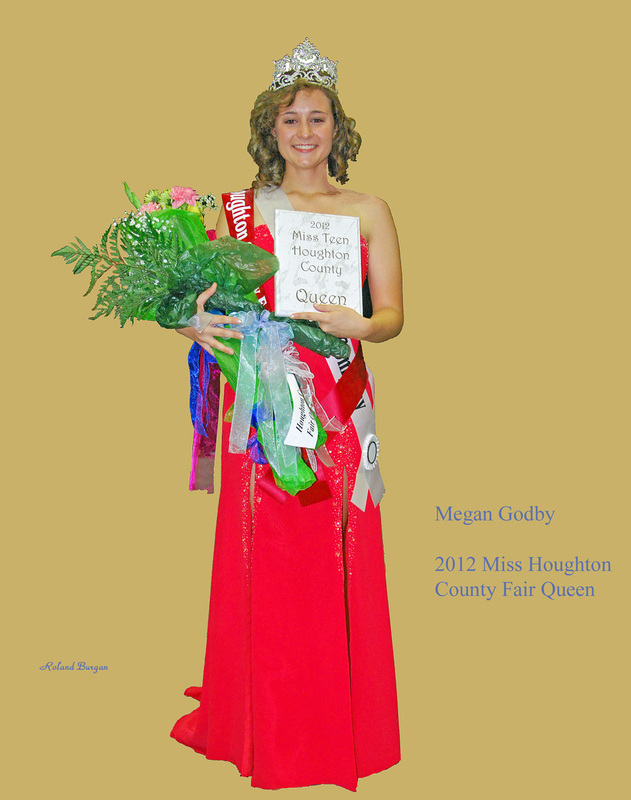 Selected by the judges, as Miss Houghton County Fair Queen, was Megan Godby, 18, of Atlantic Mine, MI. 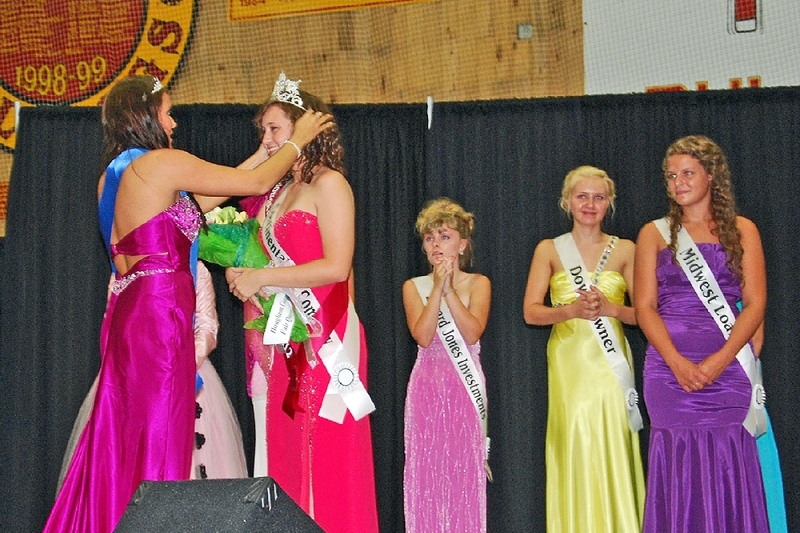 She is being crowned by last year's Queen, Joy Lynn Kinnunen. Megan graduated from Houghton High this year, and will attend MTU this Fall. She was the recipient of a $1,000 cash award. 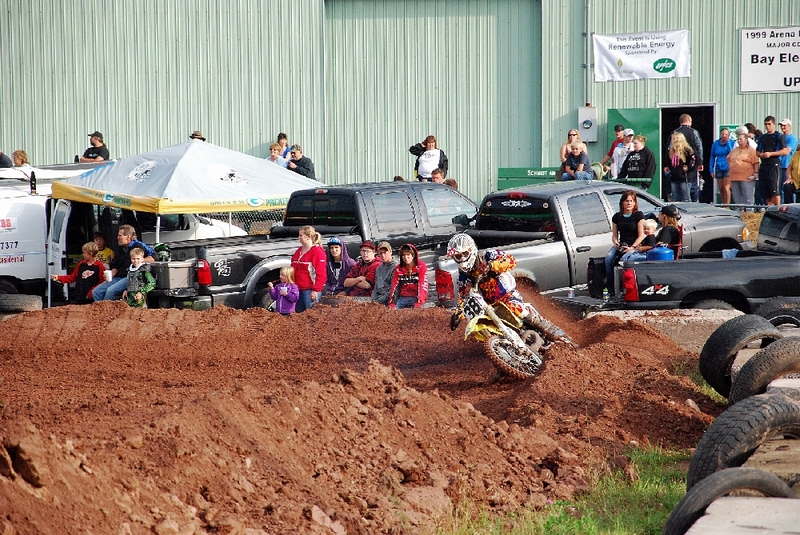 In the Main outdoor arena Thursday evening was the Motocross Races, with a number of competing classes. 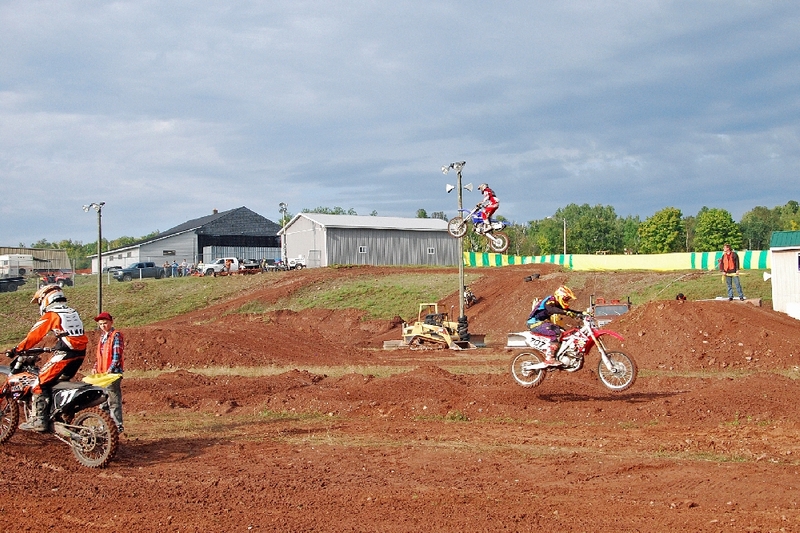 Many of the competitors caught some air while taking the jumps. Friday brought Senior Citizen Day, with free lunches and entertainment for all. No lunch should be without some great cake. As part of Senior Day, the Homemaker/4-H Awards are also announced and presented. 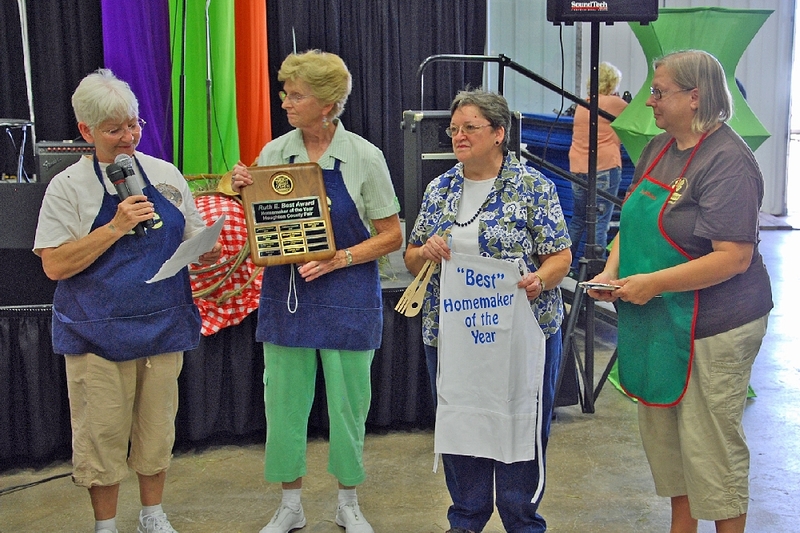 This year's Homemaker of the Year, and Ruth E. Butler Award winner, was Carol Kreher (2nd from right). 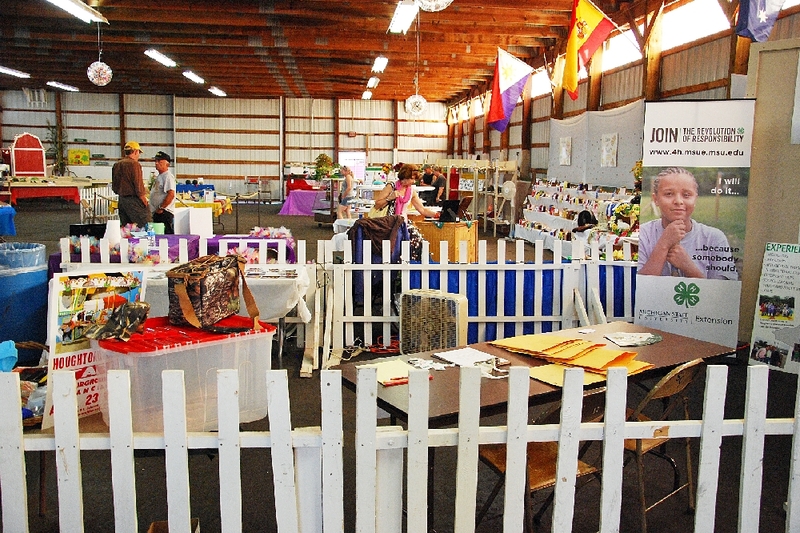 A view of the Youth / 4H Exhibits Building. 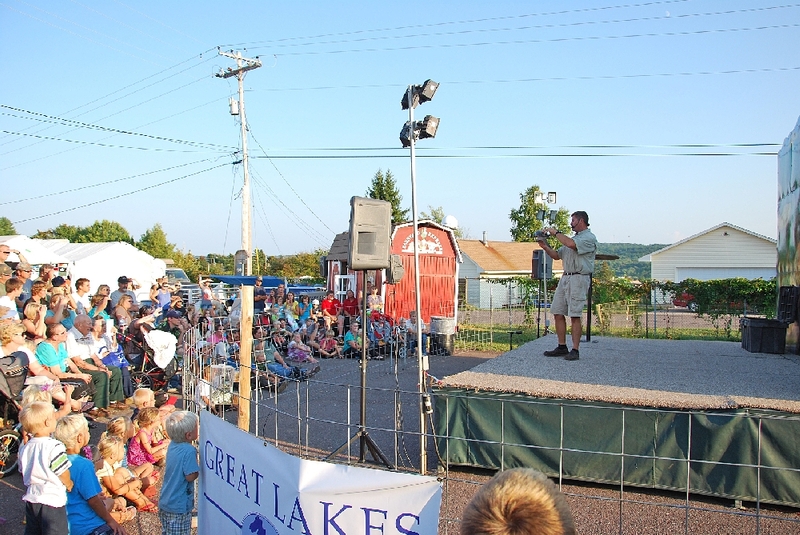 The Wild World of Animals featured a variety of exotic animals, and performed throughout the Fair days. Friday evening Midway crowd, prior to the Off Road Motor Derby. 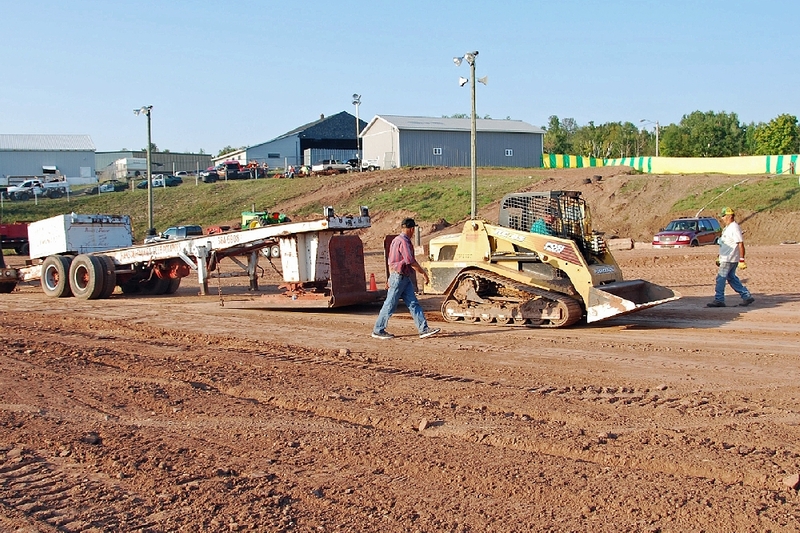 Also on Friday, the regular feature of the Tractor Pull event in the Main Arena. This special category tractor pulled a full load past the cutoff point to be a winner. 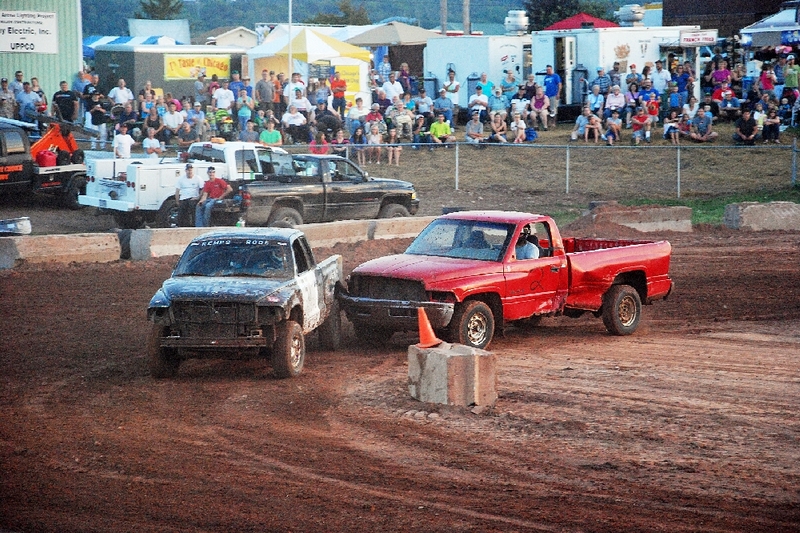 And later, the Off Road Derby. “Move over, bud, I'm coming through”. 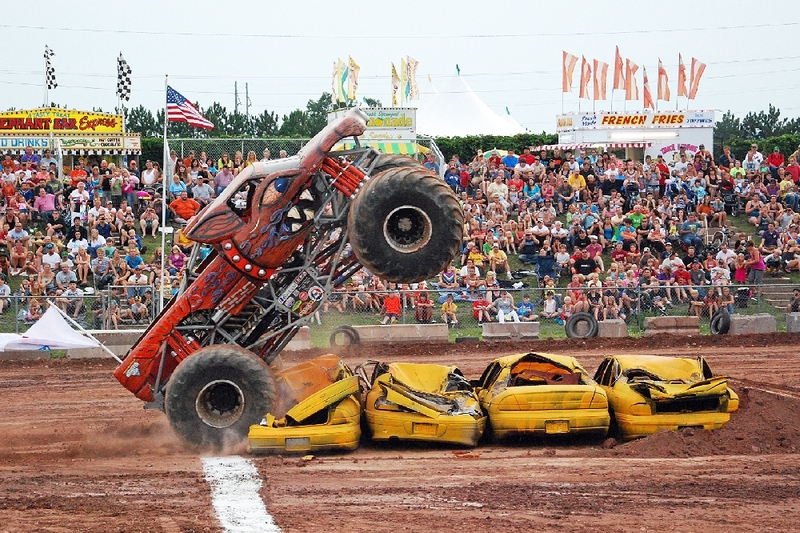 Saturday's action saw, for the second year, a special one day event, featuring the Michigan Tech Mindtrekkers Science Exhibit, and was larger this year than last. A superb opportunity for youth to see science in action. 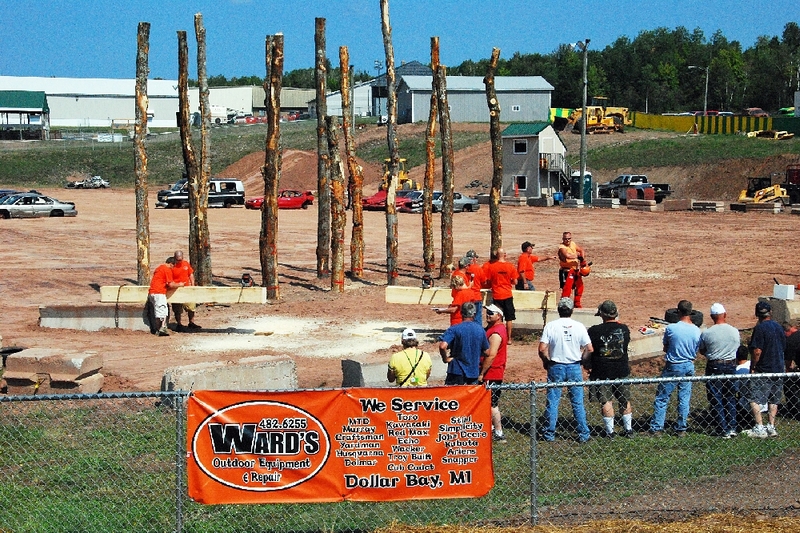 And also for the second year, Ward's Husqvarna Local Logging Competition, now a big crowd favorite. This lady (on right) did very well, winning her event against the men, and doing it in the best time. 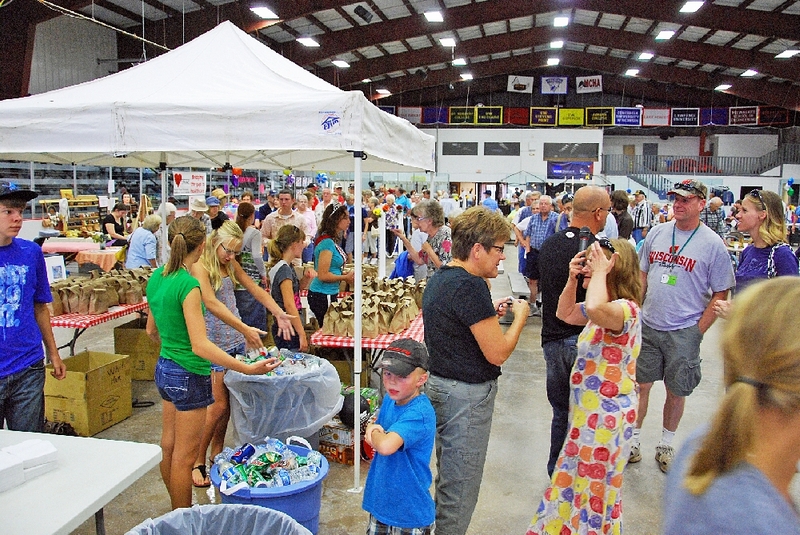 The afternoon brought an annual event, the Youth Livestock auction, which brings for many youths, money for college educations. Pat's IGAs won the high bid for the Grand Steer, with a bid of $3.15 per pound. The steer weighed in at 1300 lbs. Bidding was Jack Campbell, of Pat's Hancock IGA.The steer was raised by Amanda Mattila. 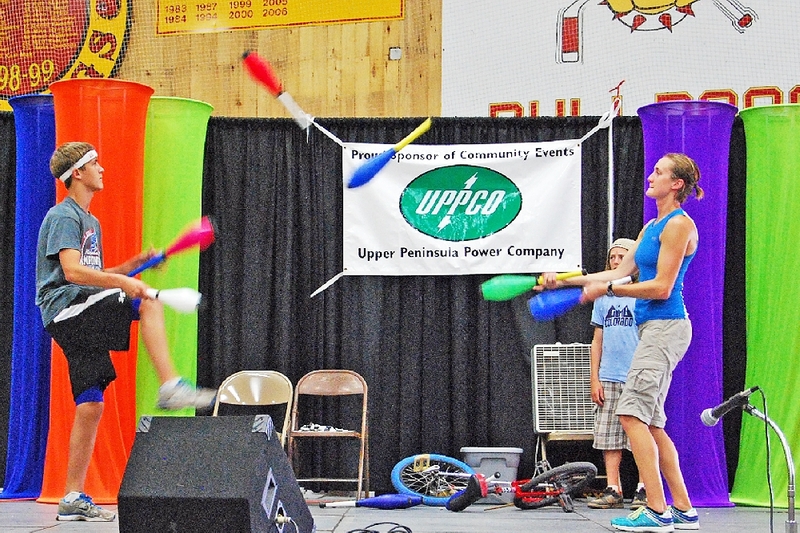 A number of acts played in the indoor arena, including the Bob and Trish Juggling Show. 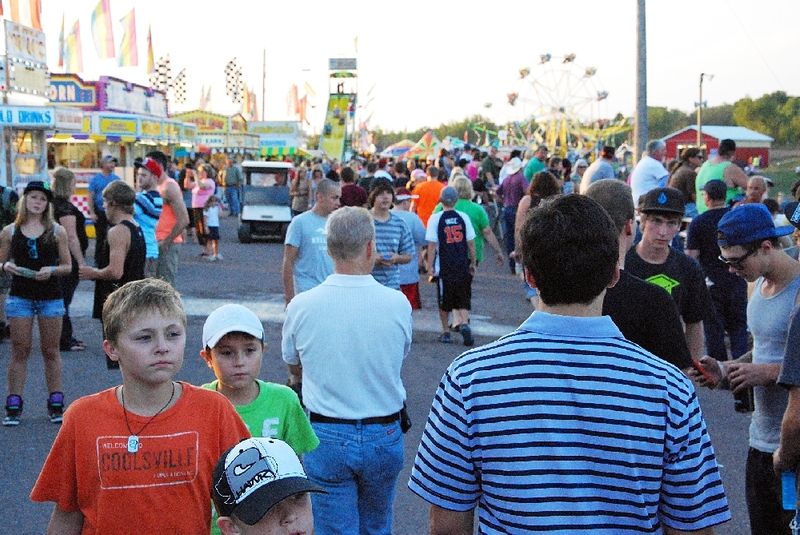 A big part of the Fair, is the T.J. Schmidt and Company Carnival. 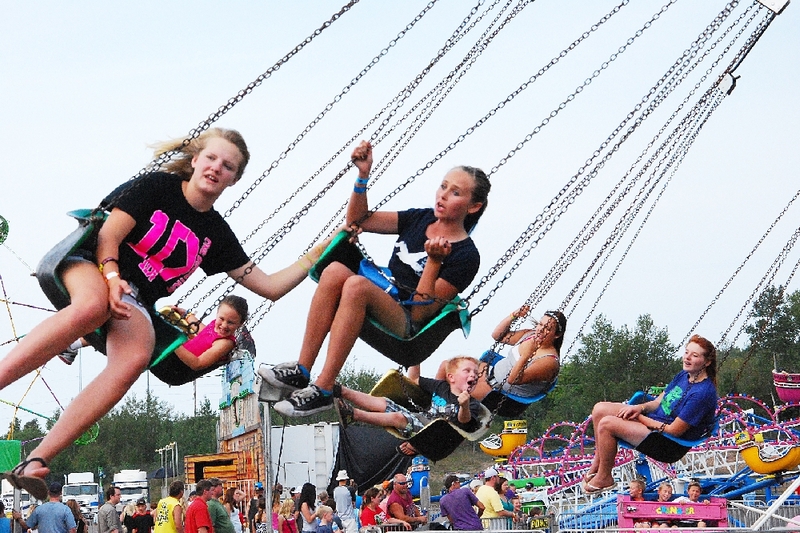 These youth defy gravity on one of the rides. 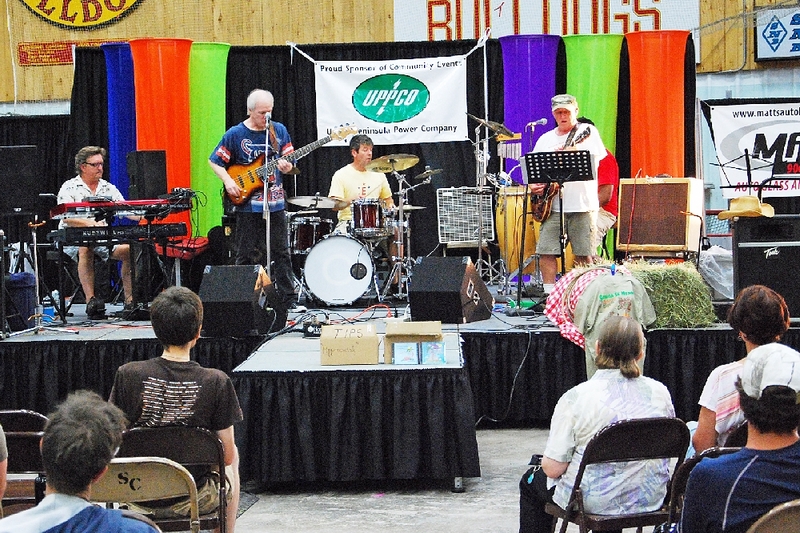 A number of musical groups also took the stage during the Fair, to entertain the crowd. 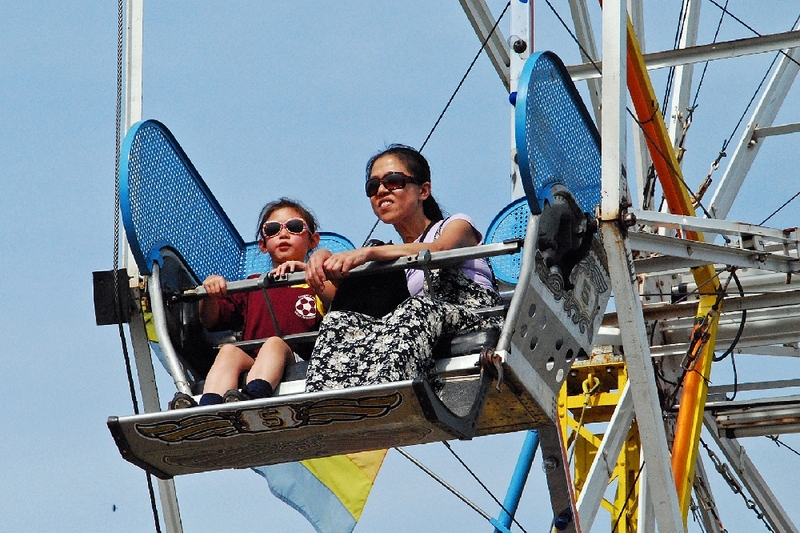 The Ferris Wheel was the ride of choice for these two Fair goers. 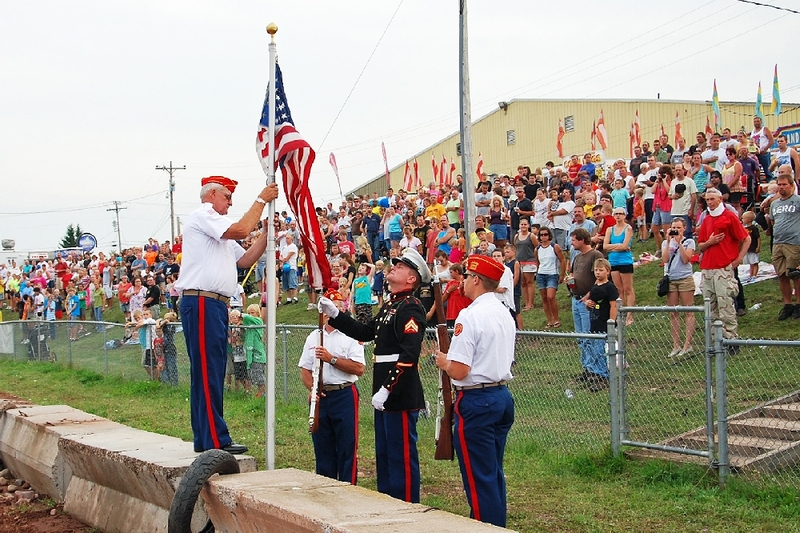 The Keweenaw Detachment of the Marine Corps League, performed the annual Veterans Ceremonial Flag raising and National Anthem ceremony to begin the main Saturday event, the Monster Truck Show. The Marine in full uniform, Ray Thomas, was home on leave for his honeymoon. Congratulations to you both, and thanks for serving our Country. 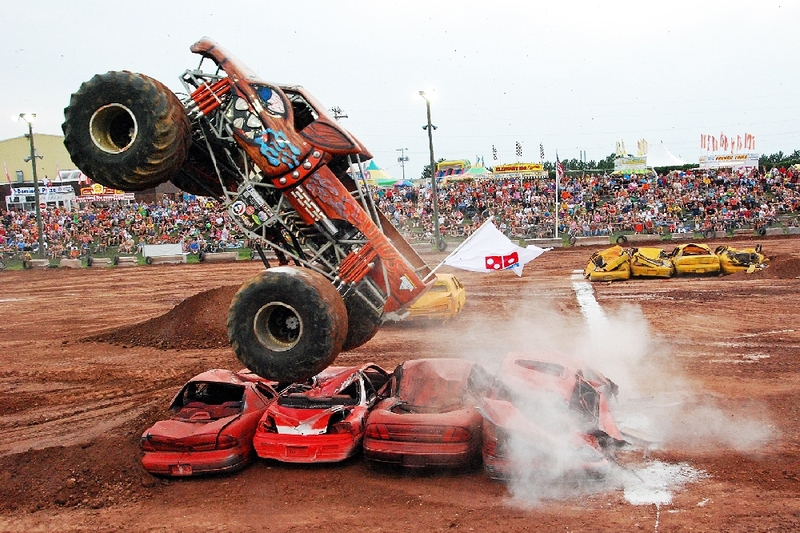 This was what the evening crowd came to see, Monster Truck action at its best. Not content to make it over on four wheels, this unit did it on just two wheels. As they say, don't try this at home! 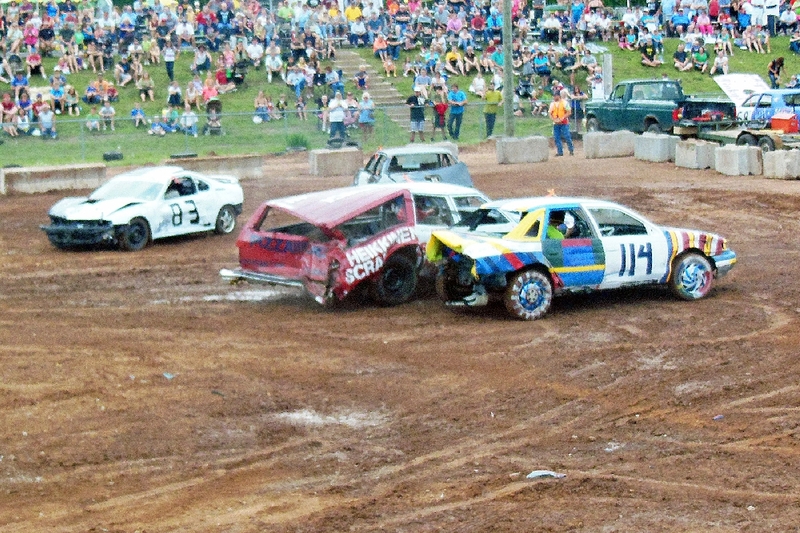 Sunday's Main Event action saw the ever poplar Demolition Derby, with a good field of contestants willing to battle it out. 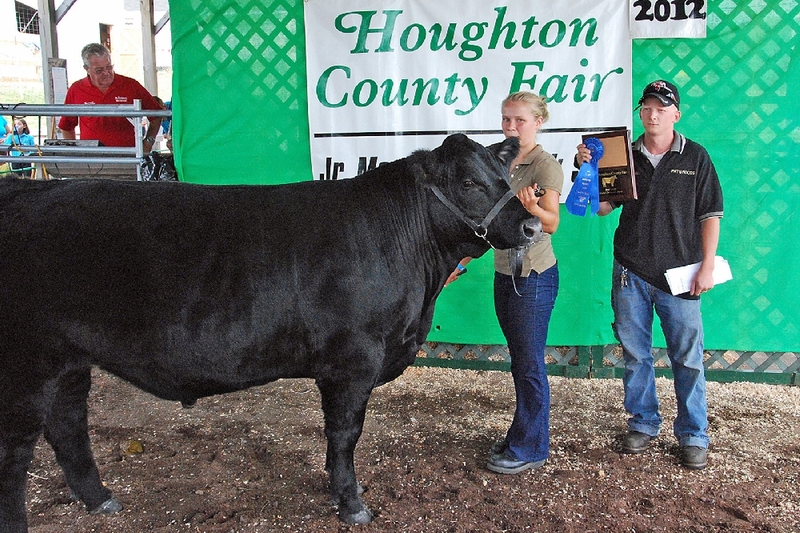 Join us next year on the last weekend in August for the 62nd Houghton County Fair.